We have 7" cavities in stock. It usually take 3-4 days to manufacture. This Pillow Top Cover is plush & super comfortable. 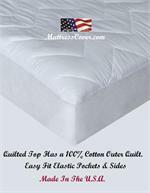 It will add comfort and protection to any foam or latex mattress. *Premium Cotton Fabric- Very Soft and Super Breathable with a Tack & Jump quilt pattern for plushness. *Luxurious Support Comfort Layer - One layer of very soft orthopedic foam. *Layers of Hollow fill fiber. *High Quality Zipper for years of service. The pillow top can also unzip off from the bottom part or the cover. 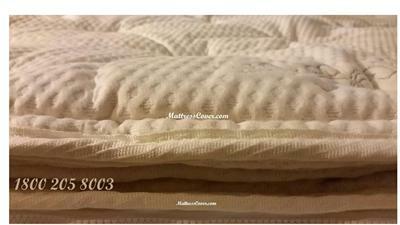 If you are looking for a high-end Pillowtop replacement cover for your Memory Foam, Latex or any Foam mattress you just found it. This cover is designed to make your mattress a more comfortable place to rest and sleep. To get the right size for your bed you would have to measure the thickness of the foam or latex. The best way to do that is by measuring the height of it from top to bottom on any side. The most common thicknesses are 6", 7",8",10" or 12 inches. If you have any questions please email or call us at 1800 205 8003. Zipper Mattress Cover outer fabric made of Premium Organic Cotton is durable yet soft & very Breathable. 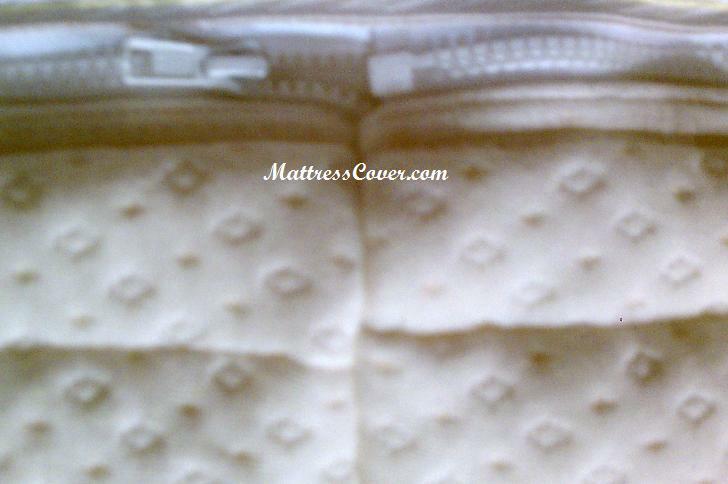 If you want to replace the cover on your Latex or Foam mattress then this zipper cover is an excellent choice. Made in the U.S.A.